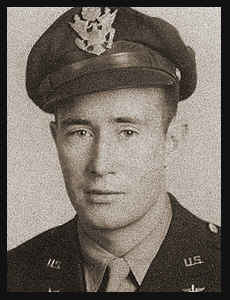 1st Lt. Robert R. Parks, son of R.P. Parks, graduated from Tipton High School and attended Okla. Univ., husband of the former Lorene Rippee. Entered Air Corps in 1942, trained in San Antonion Texas, Sikeston, Mo., Winfield, Kan., Altus, Okla., and Great Falls, Mont. ; served in England, Africa, Sardinia, Italy, Germany, Guam and the Hawaiians; was discharged in Nov., 1945. Awarded Air Medal with nine Oak Leaf Clusters, ETO Ribbon with four Battle Stars.